Have you read the Pregnancy & Passion series? It is being reissued with all new pretty covers. These are the exact same books as before, with no changes or added content from Maya. However Enticed, book 1 in the series, will contain a free bonus story by Maisey Yates. If you haven’t read them yet, pre-order links are now up! Spend the Year with the Men of KGI! Do you love KGI? 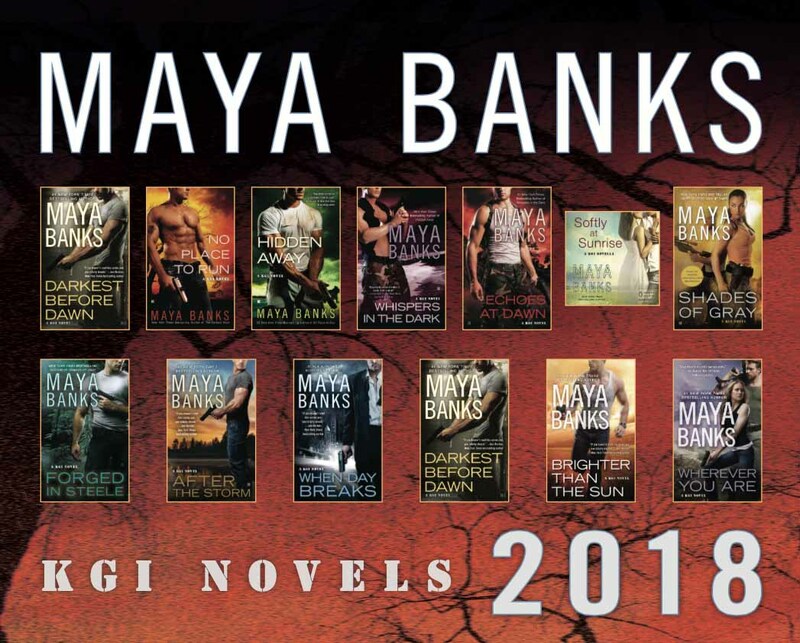 Here’s your chance to win a 2018 Maya Banks Calendar featuring all of her KGI covers! There are 100 calendars up for grabs and the drawing closes on January 1, 2018 so enter now. (sorry, this specific drawing is limited to US residents only, one entry per person). UPDATED: This sale has ended, but stay tuned for more great sale announcements and goodies from Maya. Be sure and subscribe to her site news so you don’t miss a thing. Are you looking to add Eliza and Wade‘s story to your collection? With Every Breath, book 4 in the Slow Burn series, is on sale in digital format for just $1.99 until November 27 at most major online retailers. Start with an excerpt, and order your copy to enjoy today! Conquer the world – and the treadmill – with Jenna and Isaac! Did you know Just One Touch is available as an audiobook? Listen to an excerpt during your warm-up, and order your copy. Check out all of Maya’s audiobooks on her audio page for more listening enjoyment. Just One Touch on sale! Updated: This sale has ended, but stay tuned for more great sale announcements, and goodies from Maya! Subscribe to Maya’s Site News and find out whenever there are flash sales and new content! Just One Touch, book 5 in the Slow Burn series, is now on sale at select retailers in digital format for only $1.99. Are you new to Jenna and Isaac? Check out the Slow Burn series character profiles, read an excerpt, and then hurry to order your copy before the sale ends. Maya is excited to announce that more international editions are now listed on her website! Just added: Croatia, Denmark, Finland, Hungary, and Poland. Many editions sport different covers in each country! 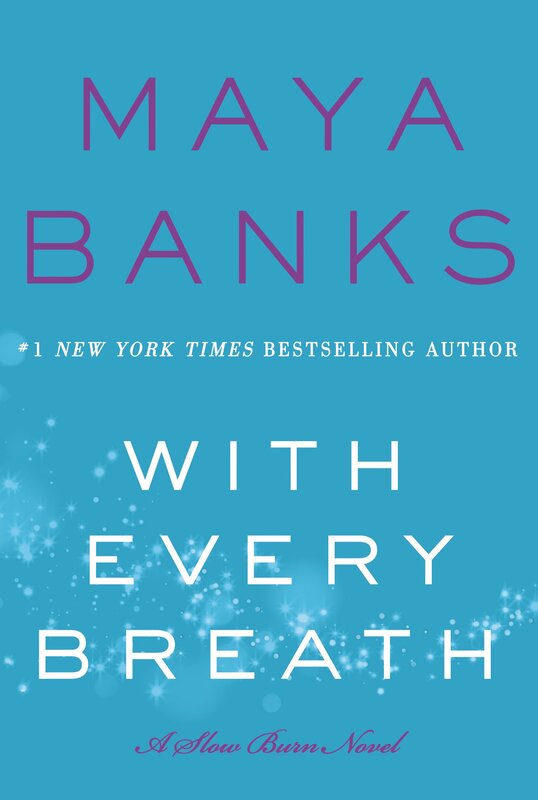 Check out the interpretations of With Every Breath and Kept. Are Maya’s books in your country? Check out her international pages and stay tuned- more are added all the time. Do you love to listen? Maya has over 25 audio excerpts on her website for you to sample, with more being added all the time. Check out Maya’s audiobooks page to see which pique your interest, then order yours! Do you like comics? Are you a fan of manga? Discover Maya’s many manga e-book editions and start reading today! Update 9/22/17 The sale has ended but be sure and sign up for to Maya’s site news so you don’t miss a thing! Have you listened to Never Seduce a Scot yet? It’s Book 1 in the Montgomerys and Armstrongs series and through Sunday, Sept. 17 Audible members can get it for just $4.95. Update: The sale has ended but be sure and sign up for to Maya’s site news so you don’t miss a thing! Fever, book 2 in the Breathless Trilogy, is now on sale for a limited time in digital format for $1.99 on Amazon. This is a great time to buy it if you haven’t read it already!